As soon as Muttah woke up after his heart surgery, he squawked from morning till night. He repeated the same motion over and over, throwing his little hands over his head, then back down to his sides. Over and over, for hours at a time. If Muttah wasn’t sleeping or eating he was squawking and flapping. ICU staff wondered if he might have neurological issues. It’s not uncommon for children with congenital heart defects to have other physical complications. Nurses took turns rocking his bed when he became too fussy. They tried to comfort with softly spoken words, and pats on his back. Muttah just fussed. But his heart was healing well, and the squawking helped his lungs to clear, so nurses made him as comfortable as possible, and kept a close eye on him. Everything became clear once Muttah was well enough to remove all of the tubes his body needed to heal. Muttah is part of a huge family. Betwen being an adorable baby, having a serious heart defect, and having so many hands at home to hold him, Muttah rarely spent time outside of someone’s arms. The whole time Muttah squawked and flapped, he was asking to be held! When Muttah was free from his bed, and held by his mother, he was finally still. Mawada cried a lot after her heart surgery. Some children have hardy temperaments—they hardly cry at all during recovery. Mawada was not one of those children. It wasn’t her tears that pulled so strongly at our hearts. It was her expression. Mawada was inconsolable, despite her mother’s near constant presence at her bedside. In time it became clear that Mawada’s pain didn’t have a physical cause—it had little to do with the fact that her chest had been opened and her heart mended. No, her pain was emotional. At six years old, Mawada was already responsible for helping to care for her younger brother. She missed him! She was worried for him—from the moment she woke after her own heart surgery, Mawada was worried about her brother. Mawada’s father died more than three years ago. She, her mother, and younger brother were a tight little unit within their larger family. Absence was painful! She didn’t crack a smile until just before she was released from hospital, when she knew she would see her brother soon. When Othman woke after his surgery, he asked for water. Then he asked for juice. Again and again. Less than an hour after heart surgery, Othman was awake and demanding juice. His voice was still hoarse from the effects of anesthesia, but he was persistent. His surgery was the kind you hope every child to have—quick, efficient, effective. But Othman woke up THIRSTY! He had been fasting since the previous evening, and his stomach was definitely not happy! It was still too soon after surgery for juice, so a volunteer nurse distracted Othman with a game on her phone. He played like a boss! But during every lull in the game, he asked for juice. One of the local nurses comforted Othman, giving him encouragement in his own language. But Othman used the attention for only one thing: to ask for juice! Othman got his juice eventually. He drank until he was finally satisfied. There is a saying in the intensive care unit—kids aren’t always themselves during recovery, but they will always be themselves again before they go home. True for every child! In the end, every one left with a smile. How do we celebrate World Down’s Syndrome Day? Today (March 21st) has been dedicated as World Down’s Syndrome day by the United Nations. Nearly half of all children born with Down’s Syndrome will have a heart defect as well. The Novick Cardiac Alliance is committed to bringing sustainable health care solutions to all children with cardiac disease in the developing world. Cardiac Alliance operate on children with Down’s Syndrome in 11 countries around the world this is about 12% of all the children that we operate on every year. This is not enough! We need to reach more children and we need your help to do it. Children with Down’s Syndrome are more than a collection of symptoms or a disease and like the rest of the population they learn at school, have interests, hobbies, talents, friends and relationships. Down’s Syndrome occurs in all races, religions and economic situations but when a child with Down’s Syndrome cannot get the Cardiac care they need their world becomes smaller and restricted- they cannot play or go to school or make friends – they are also much more likely to die in childhood. We are celebrating Down’s Syndrome day by renewing our commitment to meeting the needs of this unique and valuable group of children. Join us in our celebration Donate financially today or volunteer with us and help us reach more children like these!. You Are Essential For Every Surgery! From the moment a trip begins, precise preparations for every operation begin: instruments are sterilized, equipment is checked, hands are washed, surgical gowns and masks are secured, lights are adjusted—each in a very particular way. When the patient is ready, surgeons open the chest, assess the exact nature of every heart defect, make each delicate stitch to repair the heart, all the while being aware of any subtle changes in the patient’s condition, and finally closing up the chest to cover a repaired heart. Two surgeons scrub in for each surgery—it takes more than one set of hands to perform a successful operation. It’s easy to think of heart surgeries as solo shows—a single surgeon the only player onstage. In reality, heart surgeries are complicated choreographies, and everyone involved is essential. Before any surgery takes place, the cardiologist sees the patient, diagnoses any heart defects, and recommends candidates for surgery. Inside the operating room, the scrub nurse prepares patients, manages instruments, and maintain a scrupulously sterile environment for surgery. Anesthesiologists administer the fluids which keep patients asleep for just the right amount of time and keeps a close eye on levels. Perfusionists manage the heart-lung machine, and keep blood oxygenated during surgery. The blood bank manager ensures there is enough life-giving supplies at hand. And a biomedical engineer is always at the ready, keeping complicated machinery running smoothly. In the Intensive Care Unit, critical-care doctors and nurses treat healing patients, continuously measuring heart rates and fluids. The respiratory therapist keeps lungs functioning well and helps to prevent complications like pneumonia. X-ray and lab technicians provide the evidence needed to fully manage care. In the Step-down Unit, the last phase of in-hospital treatment, further monitoring takes place to manage patient wellness, and parents are trained how to best care for their children so they can go home as quickly as possible. Behind the scenes, there are further layers, including those who clean the hospital, sterilize instruments, wash sheets, and more. Skilled surgeons are essential to every operation, of course! Dr. Novick and our surgical staff brings tens of thousands of hours of training and experience to every operation. There is no surgery without surgeons! But it’s also true that without cleaners, there is no surgery. Without sterilized instruments, there is no surgery. Without bagged blood and plane tickets and filled syringe pumps, there is no surgery. In this complicated choreography, everyone is essential—including you! Without your generous donations, there is no surgery. You help to make all of this happen! Give today. We Are Making A Real Difference In Libya—Join Us! It was a small news article, easy to miss. Turkish hospitals and hotels are refusing to receive any new patients from Libya. The debt has grown too high, as Turkish hospitals treated more than 8,000 Libyans sent to them for care, and the bills have not been paid. 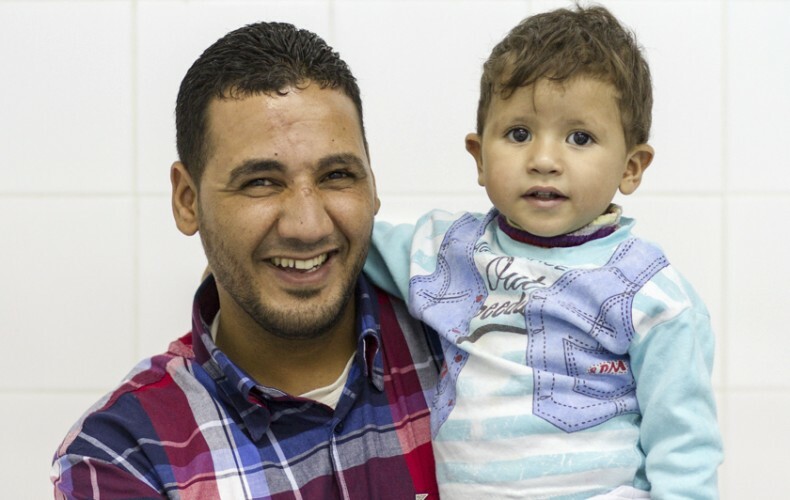 Why are so many Libyans sent out of country for care? After too many years of civil war and instability, and the growing presence of ISIS, the health care system in Libya is unable to cope. Syria and Iraq get the bulk of media attention, but life in Libya is difficult for many. Half of the population has been directly affected by war. Two million residents are in need of health services, and there are nearly three quarters of a million refugees and displaced people in Libya. Large organizations like the World Health Organization are focused on delivering basic care to large swaths of the population—providing childhood vaccines and preventing communicable diseases. But with limited hospitals functioning in Libya, a shortage of health care workers, and limited funding, children with acute health needs like those born with heart defects can’t get care. We aren’t afraid of the challenges in Libya. In fact, this is a country where we can make a real difference! 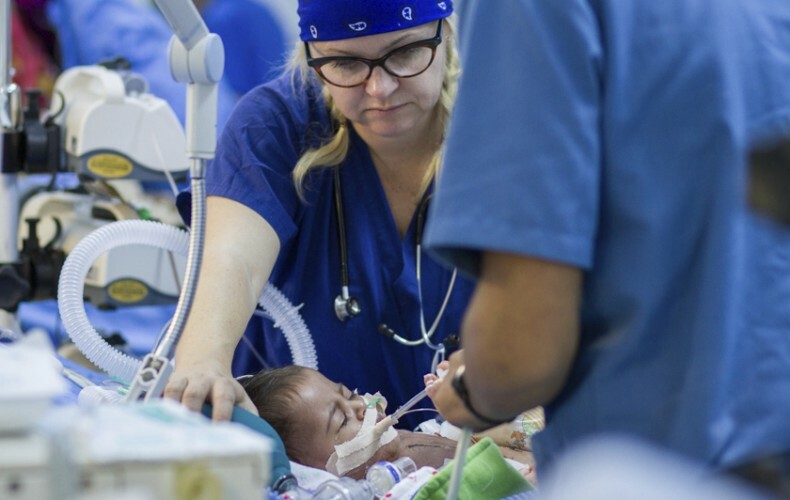 We provide surgeries for children with the most complicated heart defects—saving lives. We perform surgeries in-country, which is not only cheaper than sending patients out for treatment, but keeps precious dollars and resources in Libya where it’s so needed. We provide local doctors and nurses with the expert training they need. They are able to learn global best practices, from some of the world’s best practitioners, within their own communities. 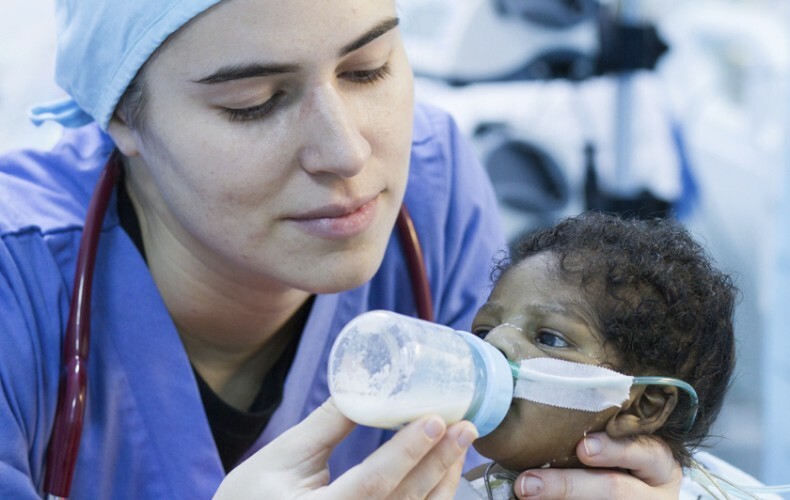 This hands-on learning is put to work immediately, saving the lives of Libyan children. We provide continuity, returning throughout the year to care for more children and to further the education of local health care professionals. In a place so unstable, our continued presence provides needed stability! In the face of civil war, instability, ISIS, and massive systemic needs, we aren’t running away. In fact we’re investing further. Join us in making a real difference by donating today.